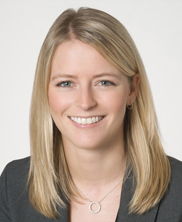 Julia B. Milne, real estate associate at Paul, Weiss, Rifkind, Wharton & Garrison LLP, has been volunteering with CBJC’s Immigrant Women and Children Project since 2010. Julia assisted women from Ecuador, Mexico and Trinidad in applying for U visas, special visas for immigrant crime victims who cooperate with law enforcement. Two of those women are now lawful permanent residents, or green card holders. They have gone on to live safely away from their abusers, work legally, and raise their children in safe environments. Julia also worked with our client Ms. A, a survivor of child abuse and domestic violence. Ms. A also was involved in a very serious accident during the time that Julia was working with her that greatly limited her mobility and the client became homeless. Julia was able to help her complete her immigration paperwork which allowed her to access more services that were essential for her to get medical care. Ms. A recently told us that “Julia is awesome. I never worked with anyone like her. She was my miracle worker. She kept me on task and helped me complete what needed to get done.” Julia was truly transformative in these women’s lives. In 2016, Julia was honored as a recipient of the Jeremy G. Epstein Award for Outstanding Pro Bono Service. In the clip below, Julia shares what pro bono work with the Immigrant Women and Children Project means to her.